Whenever we think of Spanish cuisine, we think of old cooking our grandparents would usually make for us at home. But that's what ¡OYE! 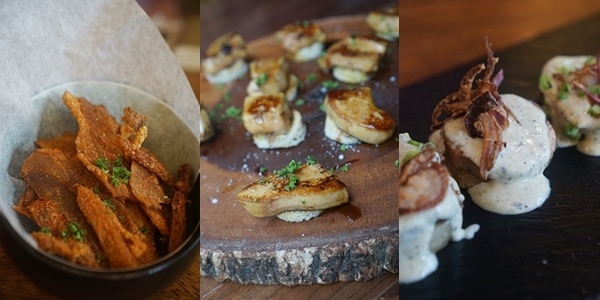 Tapas & Grill is trying to veer away from. 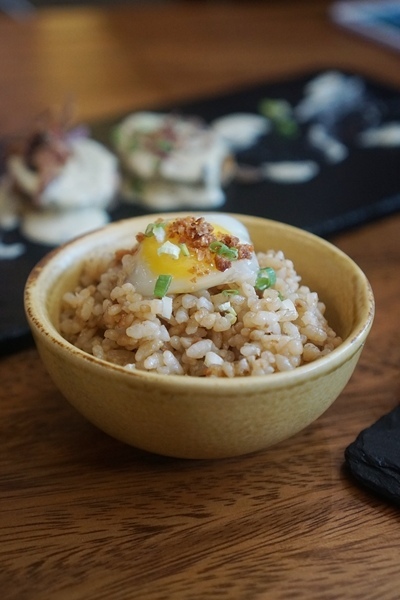 At the newest baby of the Advent Hospitality Group, the same group who conceptualized XO46 Heritage Bistro and Arroz Ecija, it's all about infusing a youthful vibe to the Spanish-Filipino cuisine we've all been accustomed to; making it more accessible to the modern Pinoy food lover. Sure, the classics like Paella and tapas are available but you'll notice an interesting mix of the traditional and the modern and how everything actually works well together. 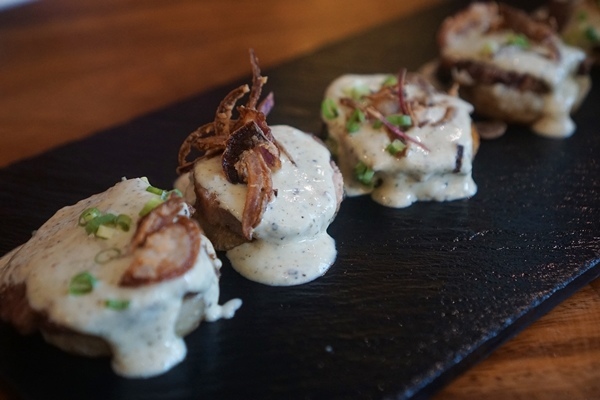 Oye has teamed up with three chefs – Chef Joseba Sola, Chef Juan Montel and Chef Tanya Dizon – for their pintxos and tapas which gives the restaurant that unique character you won't find elsewhere. 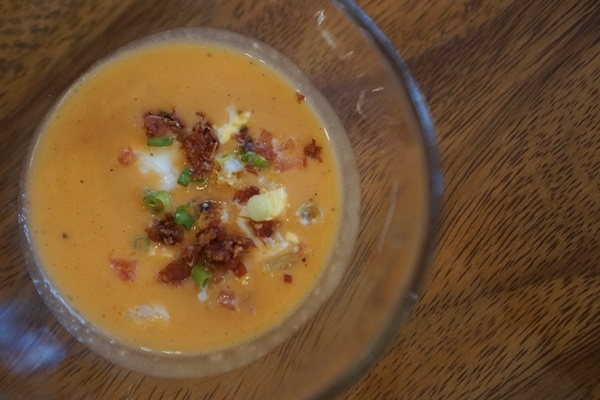 Start your gastronomic adventure with the Salmorejo (P220). Similar to a gazpacho, this cold tomato soup is equally refreshing as the soup made of raw blended vegetables and served cold that's popular in south of Spain. The cold soup pairs perfectly with the Chicharon del Veedor (P335) that's a bowl of crispy pork chicharon tossed in pimenton powder or better known as Spanish paprika. 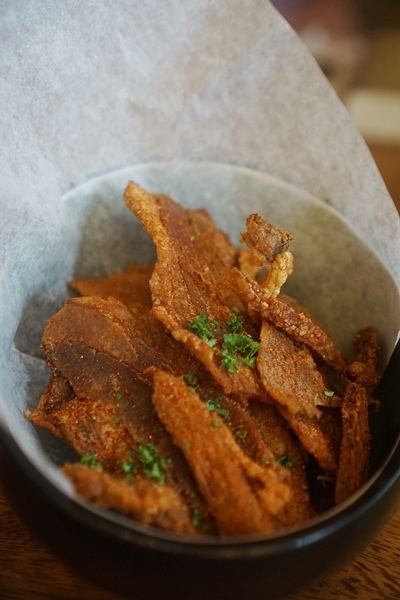 The pork chicharon packs a little heat and is addicting, you would want a bowl just for you. Don't say we didn't warn you! 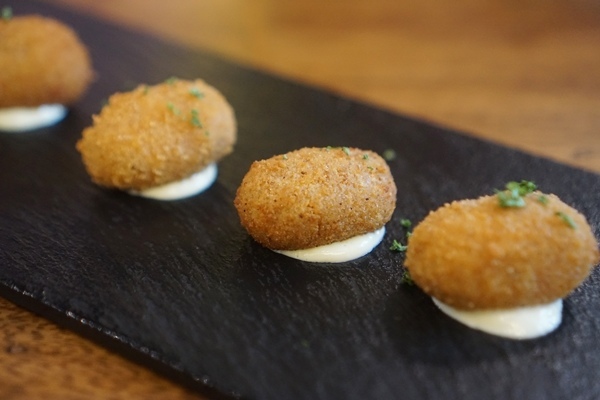 There are more than 15 tapas you can choose from that's divided into two: modern and classic. The modern tapas is curated by Chef Josabe Sola who is the restaurant's head chef and acknowledged expert in modern Spanish cooking. The modern tapas include the Lengua con Salsa de Pimiento Verde (P375) which isn't the Lengua we have been used to. A serving has five piece pieces of braised beef tongue with green pepper sauce sitting on sliced fried potatoes. 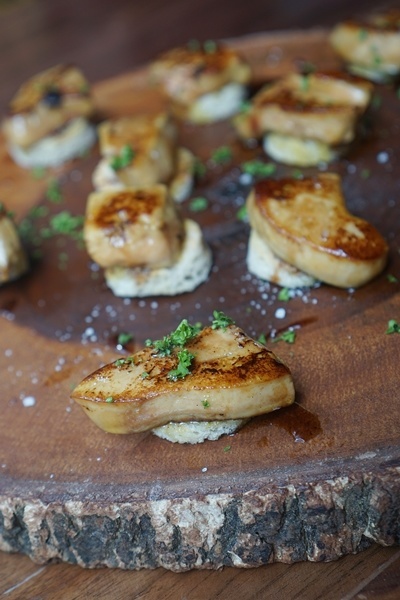 There's also the melt-in-your-mouth Grilled Foie Gras with Pedro Ximenez over Crostini (P395). It's rich, buttery and has a sweet touch from the white Spanish wine grape, used. One serving is definitely not enough, everyone on the table wanted a second serving of it! What better way to pair the Grilled Chicken Majada (P275) and Grilled Pork Belly in Black Pepper Sauce (P425) than rice? At Oye, they use chicharon fat and stir fry with the rice and top it off with a freshly fried egg and garlic. 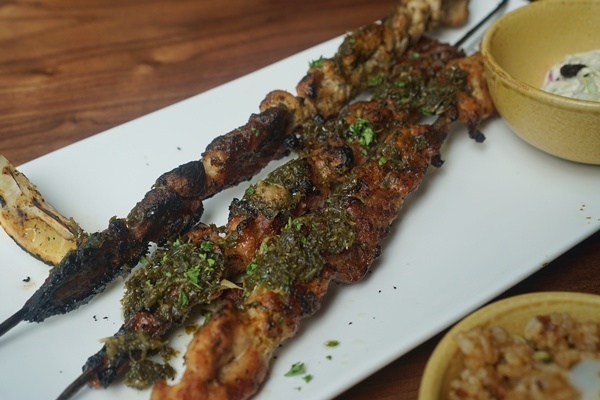 The chimichurri sauce lathered on top perfectly complements the well-seasoned grilled skewers. Squeeze some lemon juice on top of it to further bring out the flavor. For dessert, there are four items you can choose from. If you're like me who loves cheesecake, try their Tarta de Queso Clasica con Pure de Mango (P285) which is their signature cheesecake that is dense yet light in terms of its flavor. 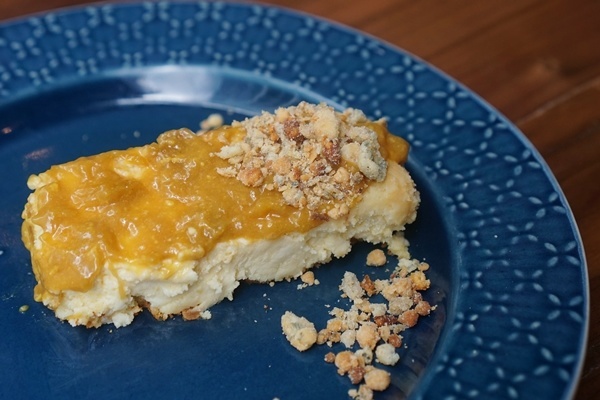 It's topped with mango puree and surprising crumbs of bleu cheese. ¡OYE! Tapas & Grill is located at the Ground Floor of Uptown Mall in Bonifacio Global City. For table reservations, call (02) 541 7025. 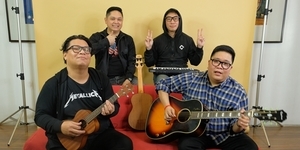 Like them on Facebook and follow them on Instagram for exclusive updates.